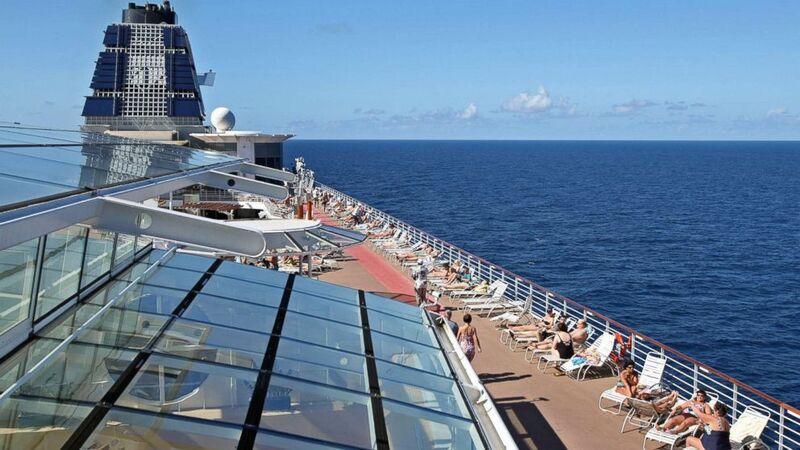 Consider our six favorite spas at sea! 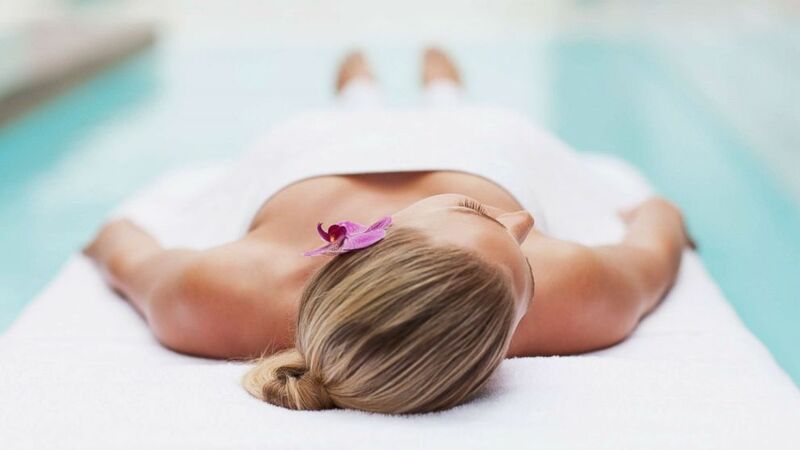 camera (STOCK PHOTO/Getty Images) A woman lays on a massage table at poolside in an undated stock photo. With features like hydrotherapy pools, heated ceramic loungers, and Thai massages, cruise-ship spas take pampering to an almost preposterous level. Just try to read the descriptions below without sighing. If you want to book some tension-melting treatments or spend quality time in a top-notch thermal suite, consider our six favorite spas at sea. 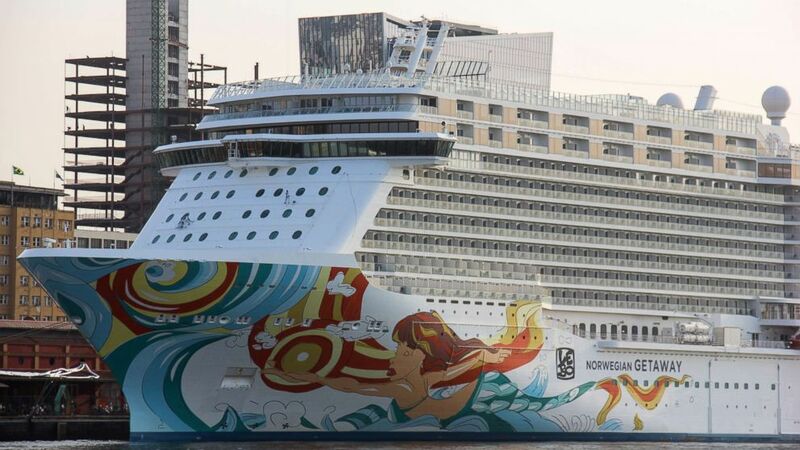 (NurPhoto via Getty Images) The Norwegian Getaway sits anchored in the Port of Rio de Janeiro during the Olympic Games, Aug. 9, 2016. When Canyon Ranch and Celebrity Cruises joined forces in 2014, they launched one of the best spa experiences at sea. The menu covers deluxe treatments such as deep-tissue massages and vitamin-enhanced facials. Plenty of treatment rooms also feature floor-to-ceiling windows, with views of deep-blue waters adding another level of tranquility. 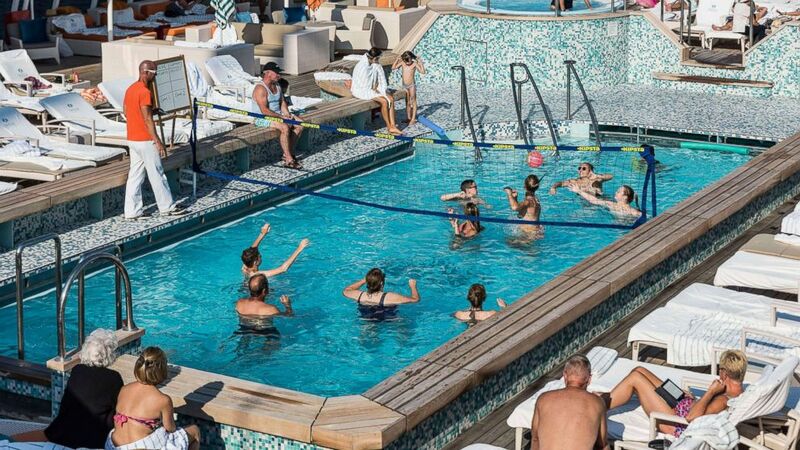 On Solstice-class ships, guests can also linger in the Persian Garden, a space with various hot and dry saunas and a steam room -- several with aromatherapy elements -- plus jetted showers. The heated-tile loungers here give a perfect spot for a post-treatment snooze. Here's a surprise: The mid-range Norwegian Cruise Line has some killer spas that can compete with top luxury lines, scrub for scrub. Multiple NCL ships, including the Pride of America, the Epic, and ships in the Breakaway class, have the line’s signature Mandara Spa, a giant complex devoted to deep relaxation. The thermal suite is the spa’s showcase: Sauna grottos, pools with massaging waterfalls, and rainfall showers here use heat and water pressure to unlock stiff muscles. Some ships even carry a salt-bath room. Passengers can also book more than 50 treatments, including a four handed massage, a Frangipani scalp treatment, or the nearly edible coconut rub and milk wrap. (LightRocket via Getty Images, FILE) People play water volleyball on the Crystal Serenity in Campania, Italy, in 2015. Forget loud gilded accents, bold neon lighting, or flashing video screens -- everything on Seabourn’s ships reflects a hushed, refined version of luxury. And its spas are a prime example. Blanketed in blond wood with soft recessed lighting and sheer white curtains, the spa’s thermal suite looks almost celestial. The line’s partnership with Dr. Andrew Weil puts an emphasis on wellness, as the signature Kneipp Walk demonstrates: Guests cross through a series of water basins at different temperatures to improve circulation and diminish pain. Lovebirds might consider booking the Seabourn sanctuary for two that includes two and a half hours of pampering with a hot stone massage for couples. When Viking joined the ocean cruise market back in 2015, it married the luxe touches and intimacy of smaller vessels with the scale and drama of bigger ones. The results are outstanding -- particularly in the spa, which has more room to pile on the indulgences. A jetted pool! A crackling fireplace! Heated loungers! Plunge pools! But the most show-stopping feature could be the snow grotto -- a cruise-ship first -- where a room with heaps of snowflakes is a chilly counterpoint to the sauna. (Bloomberg via Getty Images, FILE) Passengers sunbathe aboard Celebrity Cruises Inc.'s Constellation in the Caribbean Sea near the coast of Cuba on Sunday, Dec. 16, 2012. Cunard has perfected the white-glove treatment when it comes to its regal sailings, so it makes complete sense its spas would echo that sensibility, too. On its ship the Queen Mary 2, the Canyon Ranch-operated spa offers a robust list of treatments with everything from seaweed-and-peat wraps to scalp treatments to Thai massage. The ship also has a full Aqua Therapy Centre holding a dizzying amount of water treatments including tumbling waterfall showers, pools with jetted seats, scented steam rooms, even an ice fountain. Don’t worry, the beauty salon can blow dry any damp locks once you emerge from your watery cocoon. While river cruises can bring on the extravagance with epic wine lists and string quartets, they’re not always top-shelf when it comes to spas. That’s simply due to size -- sometimes these ships can barely squeeze in a massage room. Thankfully that’s not the case with Crystal Cruises, and its ship Crystal Mozart has devoted a good section of square footage to pampering. The petite indoor pool and whirlpool, each topped with twinkling lights, are airy and bright. A pair of rockers off to one side give a perch just to admire the space. There’s also a relaxation space furnished with a row of thickly-padded loungers; these face a bank of windows tipping out over water views. Saunas, treatment rooms, and steam rooms all sport pale earth tones, encouraging a reset for any frayed nerves.